Start off your visit on the 11th (Tue): snap pictures at Yellow Bridge, soothe aching muscles at some of the top local wellness centers, and then identify plant and animal life at Devil's Tears. To find ratings, where to stay, reviews, and other tourist information, use the Nusa Lembongan online vacation planner . Charlotte, USA to Nusa Lembongan is an approximately 28-hour combination of flight, shuttle, and ferry. You can also do a combination of bus, taxi, flight, shuttle, and ferry; or do a combination of train, bus, flight, shuttle, and ferry. Traveling from Charlotte to Nusa Lembongan, you'll lose 13 hours due to the time zone difference. 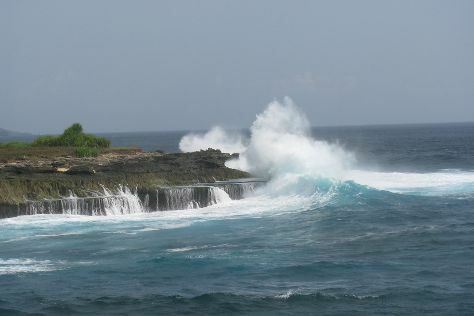 Expect a bit warmer evenings in Nusa Lembongan when traveling from Charlotte in September, with lows around 74°F. Wrap up your sightseeing on the 11th (Tue) early enough to ride a ferry to Kuta. 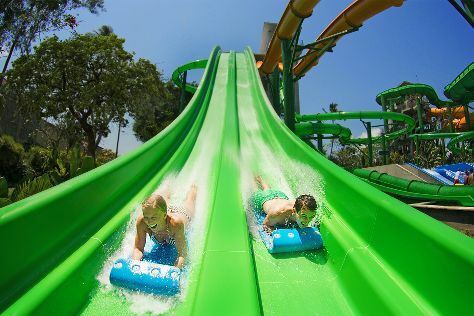 Start off your visit on the 12th (Wed): wander the streets of Kuta Square and then make a splash at Waterbom Bali. Keep things going the next day: don't miss a visit to Tanah Lot Temple, then relax and rejuvenate at some of the top local wellness centers, and then don't miss a visit to Legian Street. To see more things to do, ratings, traveler tips, and other tourist information, refer to the Kuta online visit planner . You can ride a ferry from Nusa Lembongan to Kuta in an hour. September in Kuta sees daily highs of 86°F and lows of 74°F at night. Cap off your sightseeing on the 13th (Thu) early enough to go by car to Ubud. On the 14th (Fri), look for gifts at La Boheme, identify plant and animal life at Sacred Monkey Forest Sanctuary, don't miss a visit to Tegalalang Rice Terrace, then examine the collection at Neka Art Museum, and finally take in the spiritual surroundings of Saraswati Temple. To find traveler tips, reviews, maps, and more tourist information, use the Ubud route planner. Traveling by car from Kuta to Ubud takes an hour. Alternatively, you can take a bus. In September, daily temperatures in Ubud can reach 86°F, while at night they dip to 74°F. Finish up your sightseeing early on the 14th (Fri) so you can travel back home.